Blue circles are locations of all of the FCC Licensed high EIRP, high gain Earthstations used for satellite broadcasts. 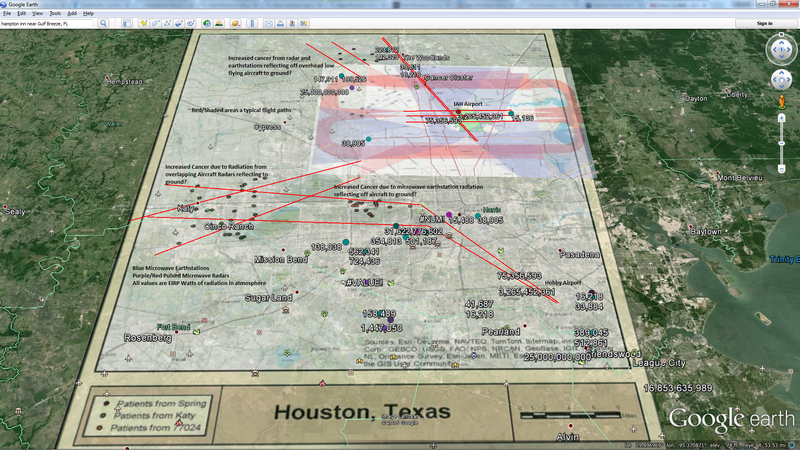 Red circles are high EIRP, high gain pulsed radars. I used 15,000 foot avg cloud cover and 15 degree dish angle average for the scattered radiation profile. 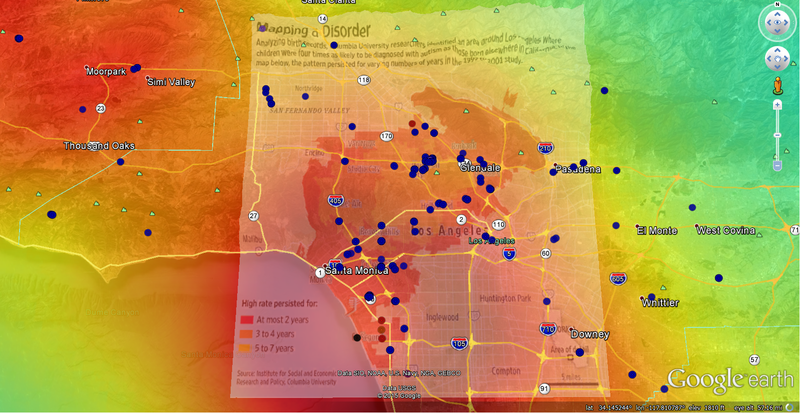 Highest density of Earthstations and Radars continue to line up well with the Santa Monica Autism Cluster. The cluster wraps down around LA Airport, which will see lots of reflected pulsed radar radiation from aircraft. I believe autism is caused primarily by radiation poisoning via electromagnetic induction of scattered radiation from terrestrial sources such as radars and broadcast antennas.